When you allow Asset Dedication to manage your accounts, the following services are included at no additional cost. Any accounts that don’t use our managed account services can enjoy the same services for a quarterly fee. Run powerful real-time reports, export virtually any information to a spreadsheet and create customized views for clients. We coordinate with you to make sure your quarterly reports are exactly what you need, and electronically delivered on time. Your accurate performance, reporting, and billing is our priority, therefore every account is reconciled each business day. Simply tell us each client’s billing specification, and we will calculate your management fees each quarter. The advisor portal allows you to easily and quickly navigate any of the following reports and more for all of your accounts. You can filter them individually, by household, at the firm-level or any other pre-defined group. 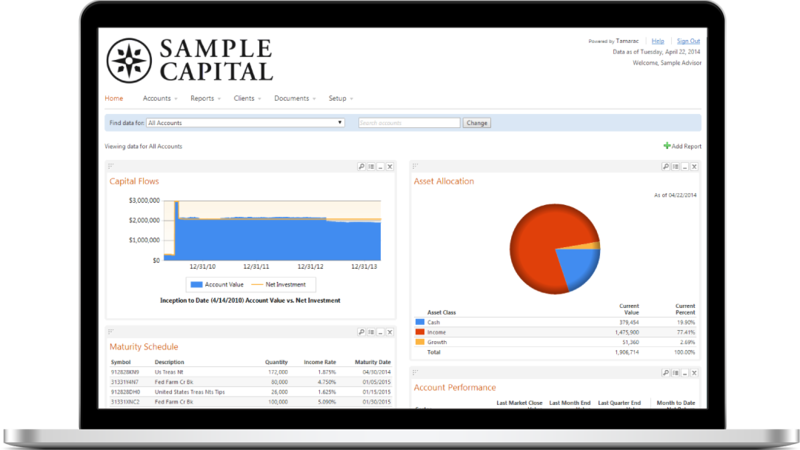 You can also view a specific period, organize client’s information by asset class, or import data to another spreadsheet – all with the click of a few buttons. You and your clients will enjoy the same simple and intuitive portal on a desktop, tablet, or smartphone. Once you provide us with access to view and download from your brokerage firm or custodial provider, we will begin downloading your accounts. External accounts will be aggregated via a ByAllAccounts login, so that you may add accounts at your convenience. Should your data source be unavailable through ByAllAccounts, we will manually set them up by using your account statements. Once all accounts have begun downloading, we will send you a spreadsheet that asks for the necessary household and billing information. Within a few business days of receiving the spreadsheet, we will upload your settings and send you a final spreadsheet to review and approve. When you are ready to provide your clients with access to their portals, we will collect the necessary client information, provide you with transition-email templates, and activate all portals. 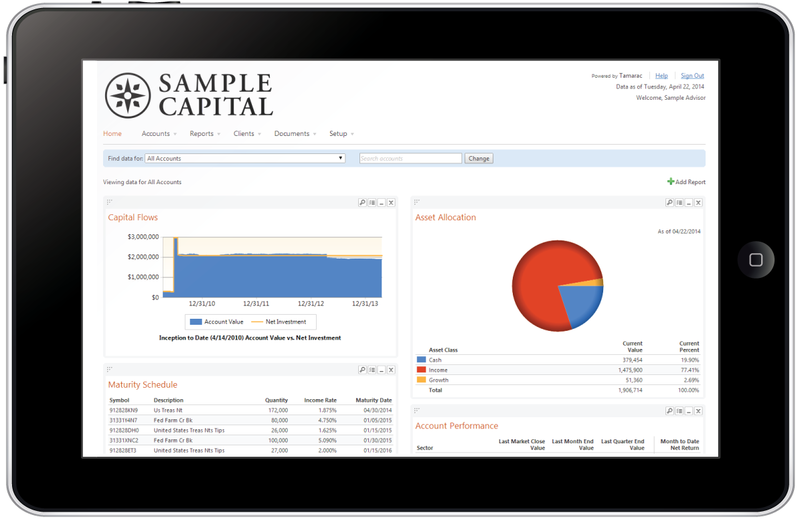 Once your client’s portals are active, we will begin delivering quarterly reports. What is the fee to receive back office support for external accounts? We charge a per-account quarterly fee between $18-32; however, due to the individual attention we like to ensure our clients, we only work with clients that plan on having at least some of their portfolios managed by Asset Dedication. Can you aggregate external accounts? Yes, we can. We will provide you with a ByAllAccounts login so that you can add your client accounts to the portal. If an account is not available on ByAllAccounts, we can add it manually. How do I receive my management fees? Will I be able to approve fees and reports? Yes, you will. You will receive your reports and billing calculations each quarter for your review. Once approved, we will process your fees and post all reports to your portal.